Bus Driver Simulator 2019 is a racing simulator from KishMish Games. You will take on the role of a driver of a passenger bus. Take a ride in a real city, strictly following the schedule. Complete journeys around the city and its suburbs, strictly following the schedule. Earn money by successfully delivering passengers and following the traffic laws. Complete various scenarios with pre-set conditions or build your own career in Free Mode. The game takes place in the real cities – Russian Serpukhov and German Cologne. Virtual city is recreated very accurate, in every detail. Buildings, bus stops and other objects are situated exactly on their places. Deliver people to their work in the morning when there are traffic jams, in afternoon, when there are less passengers and cars, and in the evening, when there are almost no one on the streets and lamp posts are illuminating the roads. There are seven high-detailed buses from different countries and eras. Experience various traffic situations: traffic jams, accidents, speed bumps, driving at night, and long-distance travels. If you get stuck in the game, check out the video walkthrough and gameplay for the game. 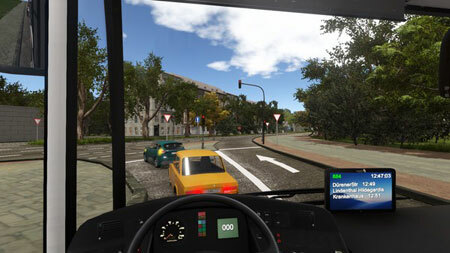 This entry was posted in PC and tagged Bus Driver Simulator 2019 Cheats, Bus Driver Simulator 2019 Gameplay, Bus Driver Simulator 2019 Guide, Bus Driver Simulator 2019 Strategy, Bus Driver Simulator 2019 Walkthrough by Marvin Tang. Bookmark the permalink.